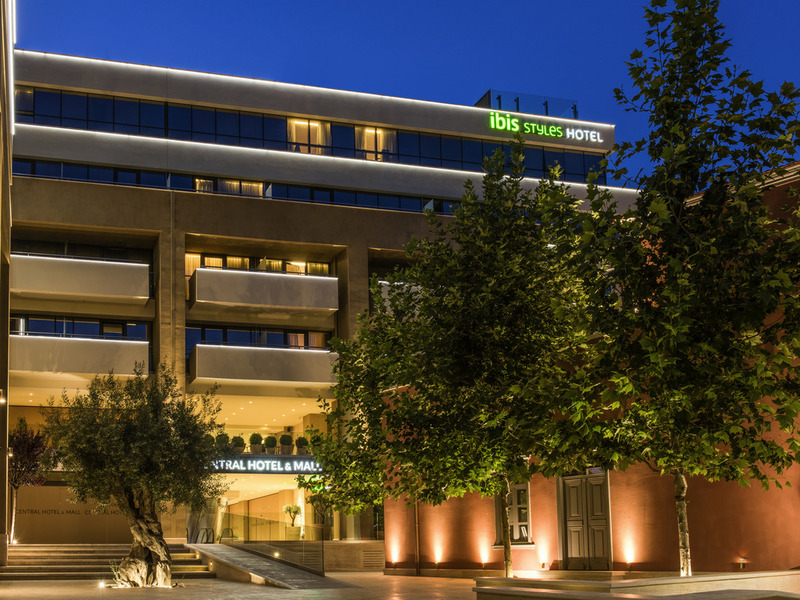 ibis Styles Heraklion Central is located right in the heart of Heraklion in Crete. The hotel offers 72 newly built and modern rooms with comfortable beds and equipped with all the amenities necessary for a pleasant and relaxing stay. The guests can find a n exquisite restaurant and bar where they can relish tasteful delicacies. Furthermore, the hotel features a secured indoor car park and is at close proximity from the most important city attractions and shopping mall. Throughout the day, our restaurant offers a great selection of a la carte options for lunch and dinner. All gastronomic options are inspired by the healthy and nutritious Mediterranean cuisine. In the unique ambiance of our bar, guests can unwind and linger in the evening with a long drink or beverage. During the day, our bar is open for those who wish to meet and relax with a hot or cold beverage. Bra läge i de mysiga kvarteren av det gamla Heraklion, och samtidigt nära både busstation och färjeläget. Väldigt snyggt och moderna rum. Härlig frukost. Trevlig personal och bra stämning.